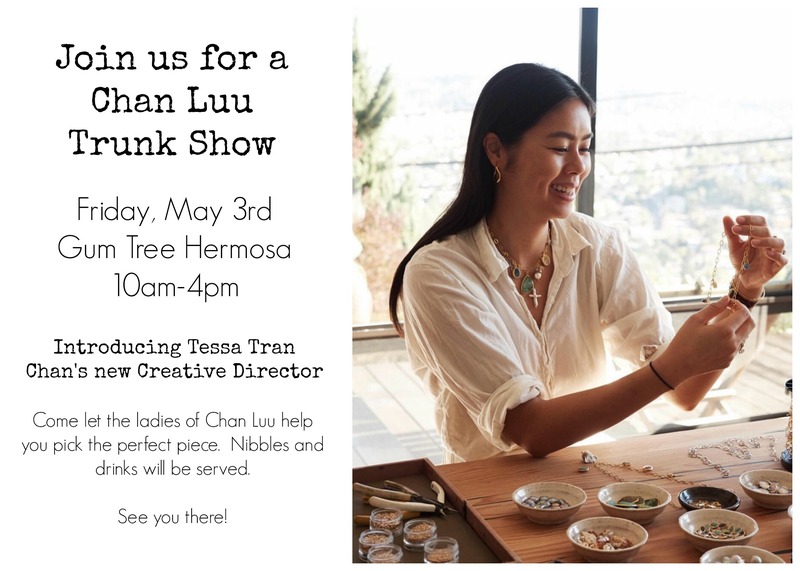 Please save the date for a Chan Luu trunk show! Friday, May 3rd in our Hermosa Beach shop, just in time for Mother’s Day. We are thrilled to welcome the new Creative Director of Chan Luu, Tessa Tran. Tessa will be in the shop to help you pick a new favorite piece or two. The line is looking gorgeous under her direction, we’re so excited about Tessa taking the reigns. Her fresh perspective is moving our favorite line forward, we hope you’ll come see. Mimosas and a beautiful cheese and charcuterie board will be served.